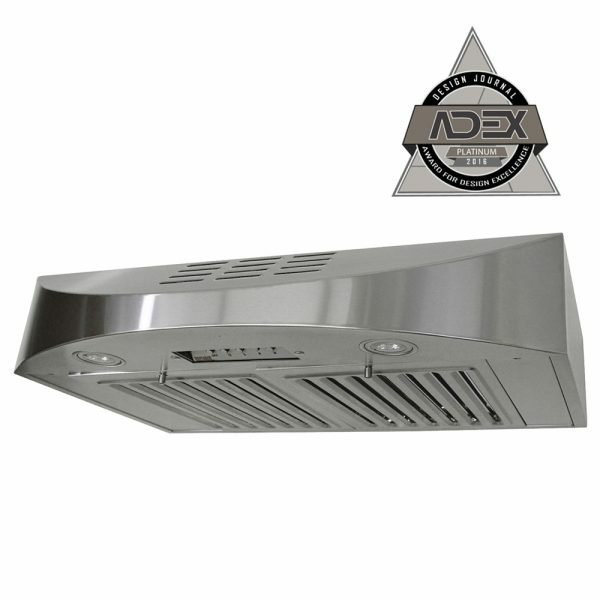 CHX38 SQBD-3 Brillia Series has been awarded the 2016 ADEX Platinum Award for Design Excellence. 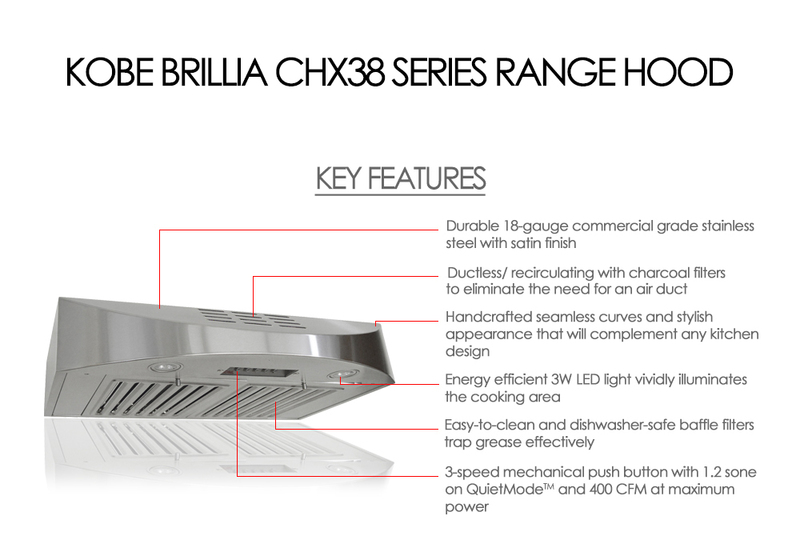 KOBE Brillia ductless/ recirculating under cabinet range hood is equipped with 3-speed mechanical push button, dishwasher-safe baffle filters, charcoal filters, and LED lights. 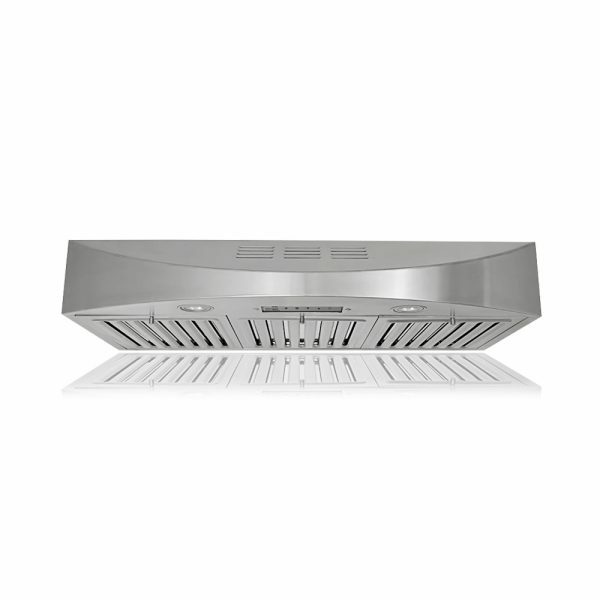 It is a powerful recirculating hood with 400 CFM internal blower yet quiet at 1.2 sone on QuietMode. 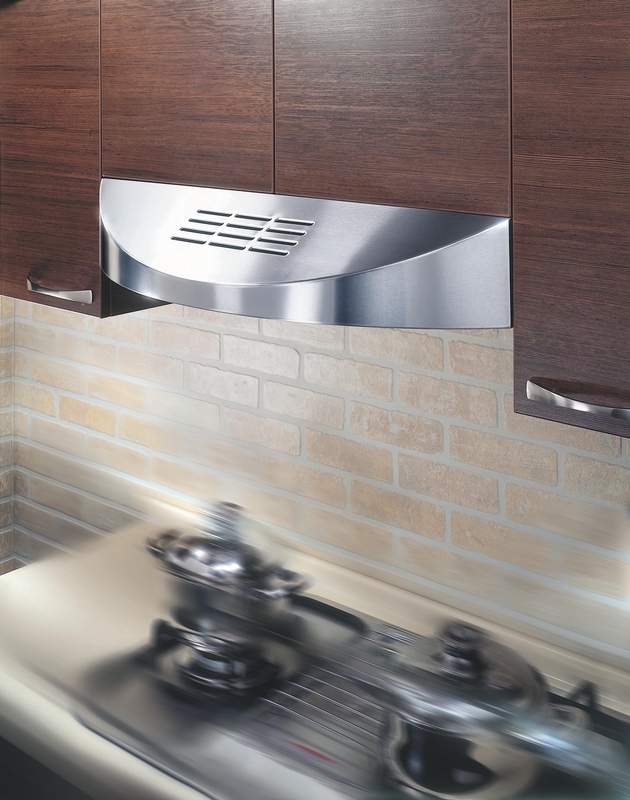 This range hood is handcrafted with 18-gauge commercial grade stainless steel and features a beautiful seamless design. 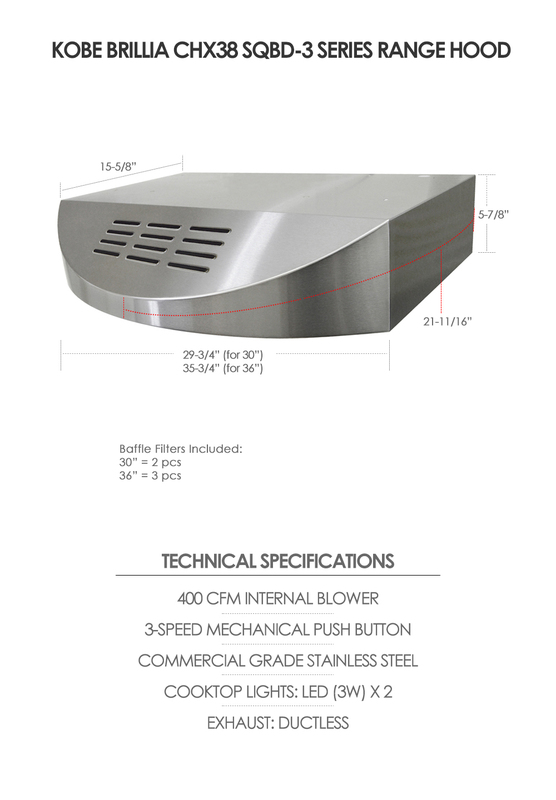 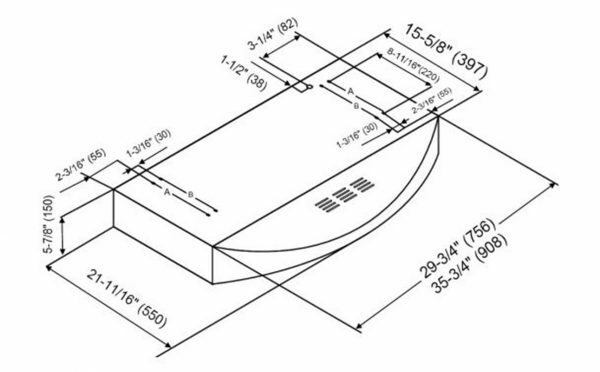 QuietMode™ At 150 CFM, this unique feature allows the KOBE range hood to operate at a reduced sound level of 42 decibels (1.2 sone).